Mr. Palmer serves as Westbrook’s Vice-President and Project Manager of the Transportation Services Department. He is responsible for all construction administration and inspection projects, all highway design services and for the overall management of all local program bridge rehabilitation and replacement design projects completed by Westbrook. Aaron also serves as Westbrook’s Quality Control / Quality Assurance engineer overseeing all site development and highway designs reviewing the plans and construction documents for constructability and completeness. Mr. Palmer received a Bachelor of Science degree in Civil Engineering from the Illinois Institute of Technology in Chicago, IL. He has nearly 20 years of professional experience and has effectively managed projects for the federal, state and local governments. He has also worked with private developers to deliver their projects within their allotted budget and time frame. Mr. Palmer is a Professional Engineer in Wisconsin. He is also a Federal Highway Administration certified bridge inspector and bridge coatings inspector. 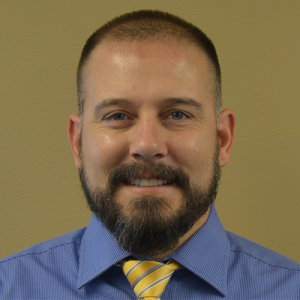 He has performed over 650 routine bridge inspections in his career and has also served as the Bridge Program Manager for various counties and municipalities in Wisconsin. Aaron lives in rural Richland County with his wife and two children. He enjoys hunting and spending time outdoors with his family.